Do you want to improve the sound quality of your device, are you looking for an app that will help you in that, are getting hard times determining which app you should use going through the play store and finding no app fulfilling your needs, then worry no more cause we have reviewed a handful of the finest apps in the market today to make it for you in choosing the right app that you should use. 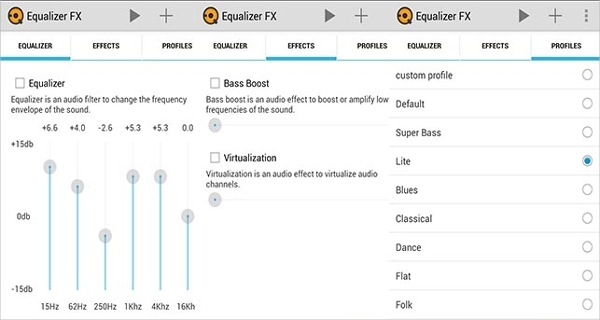 Equalizer FX is a small equalizer app with a 6 band EQ. Even though the app is simple, Equalizer FX has ability to carry out all equalization tasks you would ever wish to carry out on your device. The app is free. 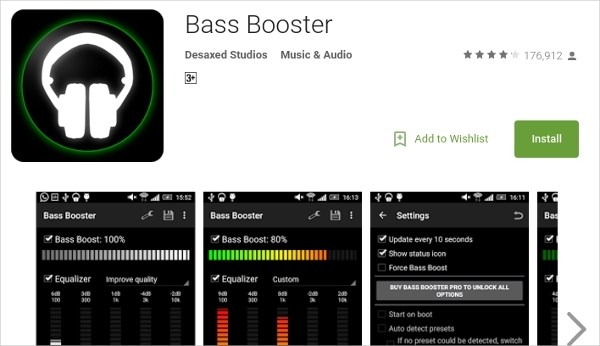 Judging from its performance the app is one of the most underrated, it works perfectly with equalizer features such as, bass boost, presets, visualization settings, and also the capability to customize profiles. This is a typical audio player as well as an android equalizer app. On this particular app the equalizer is a center feature which is visible as one of the primary features of the app. 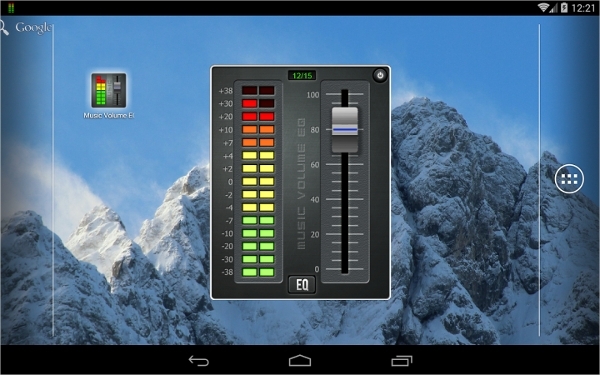 The app is one of the oldest amongst the android equalizer apps. It has been there since the days android Operating system was built without equalizer. 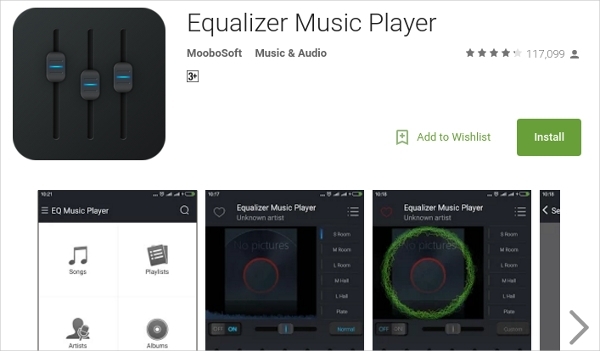 The app still works perfectly though the number of its users reduced to due stiff competition with the Android Operating pre-installed equalizer. The app is worth your time as it produces awesome results. This is one of the most super awesome apps on the list, it has a super awesome interface with a floating window which makes it similar to most of the apps on the list. The app acts like a both volume manager and equalizer. Music Volume EQ has almost all of the elements one would expect from an equalizer app these feature include, bass boost, presets, visualization and volume controls. The app has thousands of downloads from the Google play store and lots positive responses and ratings too. Almost all equalizer apps on this list perform similar task, but here is a unique one Equalizer. Equalizer is a well-designed app, It is the easiest to use on the list. The app comes in two versions a free and a premium version. With the premium version you are able to unlock most of the locked features that limit users to explore more on the free version. 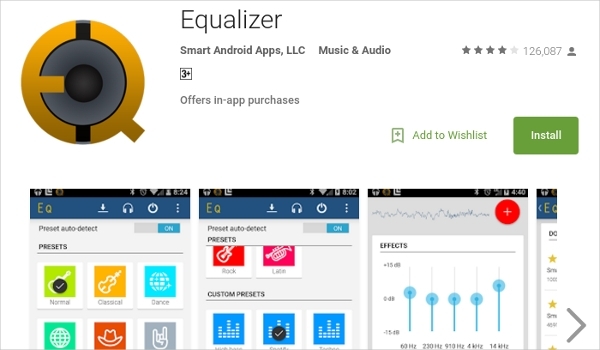 Equalizer is one page app, a quality that makes it easier to user for everyone using the android smartphone. Our task was to provide you with the best review of the best apps available in the market today while yours is to read and decide which the best is or which suits you. Hope you will find the article helpful to you.